Modesto, CA. – Network Builders IT, a Managed Services Provider based in Modesto, CA, announced today that CRN®, a brand of The Channel Company, has named Network Builders IT to its 2018 Next-Gen 250 list. The annual list identifies IT solution providers who have embraced emerging technologies and are setting the pace for the rest of the channel in their adoption. Those on the list have been able to meet their customers’ ever-changing IT needs in leading-edge technologies such as cloud computing, IoT, virtualization, mobility, business analytics and business intelligence. 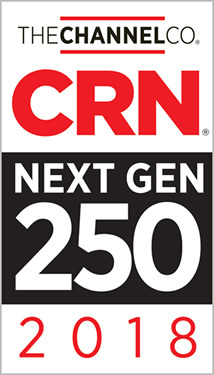 A sampling of the Next-Gen 250 was featured in the December issue of CRN. The complete list is available online at www.crn.com/nextgen250. Network Builders IT was founded in 2006, dedicated to providing our clients with the highest quality customer service while helping them get the most out of their technology. Network Builders IT helps companies navigate through business technology decisions by providing Managed Services, Network Support, Data Backup and Business Continuity, Security Services, Cloud Computing and Voice-Over-IP. Our vision is to be the best IT Service Provider to partner with. Contact us to see how our people, passion and pride differentiates us from our competition.